This year’s 2019 Budget presentation will announce plans to allocate resources for the establishment of an emergency shelter ‘safehouse’ for female and male child victims of sexually related crimes – considered the first of its kind in Grenada. The programme, to be housed at an undisclosed location, is set to provide housemothers, social workers, and counsellors trained to deal with child victims. 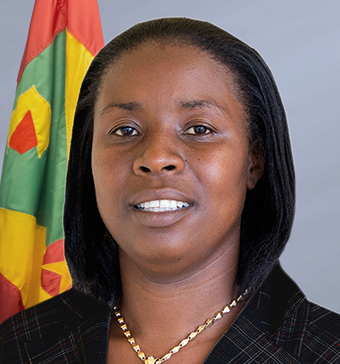 Minister for Social Development Delma Thomas, sees this initiative as a priority under her ministry as sexually related crimes and abuse continue to be an all-too-common problem. Statistics provided by the police during the launch of the Special Victims Unit and Hotline to deal specifically with victims, indicated that from the period of January to July 2018, the number of sexually related crimes have increased by 13% over the same period for 2017 moving from 230 to 259. The victims of sexual violence crimes are predominantly children between the ages of 5 and 16 and account for 67 of 148 cases in the September 2018 assizes. According to the sensitive nature of the case, Minister Thomas envisaged that a child would have to be permanently removed from their home to reside in the safehouse. On 24 September, the police in conjunction with FLOW Grenada and Hexive Creative Agency will activate an emergency hotline under the ‘Stand 4 zero tolerance’ campaign where victims of sexual abuse can call for help.